Here is an anthology of over 1100 brief prayers and thought-starters, for each day of the year, with almost 400 original prayers by Bruce Prewer. Included is both a subject index and an index of authors-- an ecumenical collection of about 300 different sources. Title: Brief Prayers for Busy People. * The following readings may also be used on the first Sunday in November. This liturgy incorporates All Souls. The joy of the Lord Jesus Christ be with you all. and also for all souls who have departed this life in faith and love – many of whom remain especially dear to your hearts. Thanks be to God, for those whom we have loved dearly but are out of our reach for a short while. After this I saw a vast crowd, which no one could count; people from every nation, of all tribes, cultures and languages. They shall never again feel hunger or thirst, the sun shall not beat on them or any scorching heat, because the Lamb of God will be their Shepherd and will guide them to springs of the water of life; and God will wipe away all tears from their eyes. “Amen! Praise and glory and wisdom, thanksgiving and honour, power and might, be to our God for ever and ever. Amen! Creator and Redeemer of all souls, we have joy at this time in all who have faithfully lived, and in all who have peacefully died. We thank you for all happy memories and all living hopes; for the sacred ties that bind us to the unseen world; for the dear and holy dead who surround us like a cloud of witnesses and make the hidden heaven a home to our hearts. By your saving love, may we be follows of those who already inherit your promise. If we have placed our only hope in the things we can see and touch, and have denied ourselves, or those close to us, that greater`hope in the glory of things unseen. If we have chosen to nurse our grief for the loss of dear ones, with the bitterness of those who weep without hope or faith in your saving love, Christ have mercy. If we put the saints on pious pedestals, and restrict ourselves to a diminished respect for our own capacity to grow in the knowledge and love of God, Lord have mercy. God of love, we thank your for your patience. You have given us some many guides and helpers to inspire us, and have given us the word that one day we shall be as Christ Jesus is; yet we have been slow to hear, reluctant to learn and sluggish in our efforts. We repent this our lack of faith and love, and ask that the love of Jesus Christ which so healed and uplifted the saints, may mercifully deal with our sins and empower our renewed good intentions. My friends, the victory that overcomes the pessimism and recriminations of the world, is faith. For who is victorious except those who put their trust in Jesus, the only true Son of God? It is in his name that I declare to all repentant people: You sins are forgiven you. Go in peace. and who grew up to your saints. or led astray by silly, selfish people. I will worship, my mouth full of praises. troubled folk shall hear this and cheer up. together we will lift high God’s name! God has delivered me from my fears. Why don’t you look to God and smile? You will never have to blush with shame. yet God helped me out of my troubles. trust and you too will be delivered. O taste for yourself how good God is! for then you will want for nothing. but you will have all that you need. none of them will ever be condemned. and then he did a repeat. Your love, O God, is timeless. May we so trust you in this temporal world, allowing you to shape our lives, that at the end of our days we may join those saints that have gone on ahead of us within the eternal world, where all is light, love, peace and joy. Through the saving love of Christ Jesus, who lives and loves with you and the Holy Spirit, one God, for ever and ever. Don’t wax sentimental about the saints. Get real. The way of Jesus is not for wimps. preview of eternal life? That limitless life we are called to start living here and now? Living it will, undoubtedly, get his followers into trouble. The old world is set in its ways. It might by wearing the cloak of respectability, pay lip service to Jesus as an honourable man, but if people begin to emulate him, something other than sweet roses hits the fan! After all, those beatitudes -- as pretty and harmless as they may sound when read with an ecclesiastical lilt --would turn things upside if they were lived. It takes a brave and adventurous spirit to set out to walk the walk as well as talk the talk. Blessed are the poor, blessed are the sorrowful, blessed are the meek, blessed are the merciful, blessed are the pure in heart, blessed are the peacemakers? Try that on in our greedy, hedonistic, self-assertive, vengeful, conniving and violent world, and see how far you get without some troubles coming your way! The saints are people who are divinely adventurous. They attempt to live Jesus style, as far as possible in this crazy old world. Rarely are they popular in their day. As I use the word saints, I am not only thinking of those great saints who have been officially canonized. I also have in mind the vast number of “small saints.” Those loving adventurers who rarely made a big enough splash to be remembered beyond their generation. Only God knows how many good souls just disappeared, their deeds unrecorded, into the dust of history. Some were dealt with violently, others sent (or had to escape) into exile, many died in poverty and were buried in an unmarked pauper’s grave. Usually such folk were loved by a few but either ignored or mocked by many. That is commonly the lot of saints. Like St Claire and St Francis, they did what they did in spite of hostility from those who had much invested in the status quo. Likewise St Mary McKillop of Australia was not popular among the power brokers. Her work with the socially disadvantaged was not welcomed by those in power; and that included those with ecclesiastical clout. Little has changed today. There are countless ordinary, “small saints” around us who said have said yes to the spirit and word of the beatitudes. Loving, adventurous souls who in one way or another have suffered hurt, rejection, or sophisticated disdain, because of their loyalty in following the Lord Jesus. Rarely do such folk into the news. Many “small saints” do not even complain about their suffering to friends. Most certainly do not brood over their hurts; bitterness is not for them. They just get on with doing the Jesus thing to the best of their ability. In contrast, we have some exponents of a deviant form of Christianity which expects to be popular. Success is almost worshipped. They seek to mix with the famous and the powerful. Their preachers get a kick out of being able to comment in a sermon: “As my friend the Prime Minister commented the other day……….” Should a flamboyant pop star, or a sporting idol, deign to be a member, they purr as loudly a felines in their seventh heaven. You will not find many saints in their ranks. Neither great saints nor small saints. or sitting as guests in the corporate boxes at the Australian Open (tennis). As I say, it might be natural to experience a bit of envy, but never covetousness. No way! On this All Saints Day, let us take stock. Let us affirm our commitment to that poor preacher, the “Son of man who had nowhere to lay his head.”” And be happy about it! Let me stress that: For God’s sake be happy about the hard choices you may make. To follow Christ is combine some frustration with much happy adventure. To follow Christ mixes discipline with new liberty, and some pain with much happiness. Dour religion is just as much a perversion as what I have categorised as success religion. Some times I give this final greeting at the end of a letter: ‘The good humor of Christ be always with you.” I mean it with all my heart. Joy is one of the key words in the New Testament. Written by Christians who were constantly harrased, imprisoned, flogged or worse, they wrote buoyantly about the joy that was theirs. The saints, great and small, are happy souls. The way of Christ is certainly not for wimps but neither is it for those with sour faces and leaden steps. It was well written about Jesus, “who, in the place of joy that was open to him, endured the cross, making light of its dislove, and has taken his seat at the right hand of the throne of God.” Hebrew 12:2. Today remember all saints; including those small saints who lives touched on yours with a special blessing. Remember, give thanks, and get real. Take your marks once again for the race on which you are lovingly entered. Living God, in whom there is no shadow or change, we thank you for the gift of life eternal, and for all those who having served you well, now rest from their labours. We thank you for all the saints remembered and forgotten, for those dear souls most precious to us. Today we give thanks for those who during the last twelve months have died and entered into glory. to be humbled by, and stand with, the peacemakers. of Christ Jesus our Saviour. and follow it with thanksgiving. Although this book was written with young people in mind, it has proved to be popular with Christians or seekers of all ages. 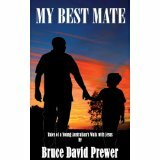 Through the eyes and ears of a youth named Chip, big questions are raised and wrestled with; faith and doubt, unanswered prayers, refugees, death and grief, racism and bullying, are just a few of the varied topics confronted in these pages. Suitable as a gift to the young, and proven to be helpful when it has been used as a study book for adults. 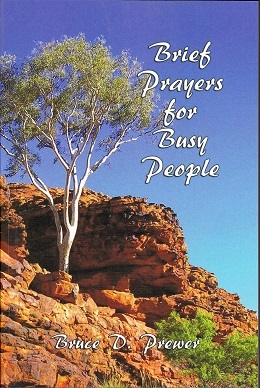 Australian Prayers has been a valuable prayer resource for over thirty years. These prayers are suitable for both private and public use and continue to be as fresh and relevant today as ever. Also, the author encourages users to adapt geographical or historical images to suit local, current situations. This collection of original, contemporary prayers is anchored firmly in the belief that no matter what the immediate future may hold for us, ultimately Jesus is himself both the goal and the shape of our future. He is the key certainty towards which the Spirit of God is inexorably leading us in this scientific and high-tech era. Although the first pages of this book were created for the turn of the millennium, the resources in this volume reflect the interests, concerns and needs of our post-modern world.